Here's a forum to talk about sports. Enjoy! Just thought I would share this with you as I am still shaking my head about it now. Over the weekend I referee'd several youth games a tournament in Red Deer, Alberta. I was officiating a U12 Bronze medal game. The game had been a little rough and with about 5 minutes to go one of the players burst through into the box past the defender with a chance to level the game. It was then he decided to throw himself onto the ground like he had been shot - arms out stretched, belly flopping onto the ground, in such a theatrical fashion that would have made an Italian pro footballer proud. It was quite unbelievable. Some of the parents of course went bezerk. PENALTY REF!! I heard them call as the horizontal player looked up at me with an expectant expression. You could say some parents were not happy when I awarded a free kick to the defending team and booked an 11 year old for diving. Luckily there were no major incidents after that but I had to read the riot act to the parents and tell them to shut up (at which point some other parents broke out into applause). I have only been reff'ing for two years but I have to say parents are a nightmare and when I see players as young as 11 trying to cheat in such a blatant way it says something about society in general - not just about the sport. Thankfully, the game I ref'd directly after this game (the Gold medal game) was excellent - good skill, lots of technical ability and no yellow cards. Don't know anything about football or refereeing but thought you might like this although these parents seem quite civilised compared to what you were talking about. Being a ref must be one of the hardest jobs in the world. Wouldn't do for me, I'm a coward and couldn't stand all that hate directed at me! My youngest daughter was just in a ball tournament (softball like rounders but faster and much more intense-baseball for kiddies) I could not belive how intense the parents were. I didn't really understand the rules so I had a friend translate for me, it was brutal. If the kids batted in the wrong order they were dismissed, if they didn't touch the bag (base) on their way round they were out, the rules just went on and on. These are 12 years old kids, they should be having fun not being shouted at by parents. The parents would hurl abuse at the umpires for any call against their kid, they'd shout abuse at the opposing team and even at their own kids if they fouled out. There were the odd words of encouragement, but generally it was mainly negative comments. I can understand the parents involvement, but for goodness sake this was much too intense. The poor umpires looked shaken afterwards as well. I have a lot of respect for people who do these umpire/referee jobs and subject themselves to this week after week. So Well done Si! Keep up the good work and try to ignore those stupid parents who think their kids can do no wrong or are the next Pele. Hungry for magazines from Britain? 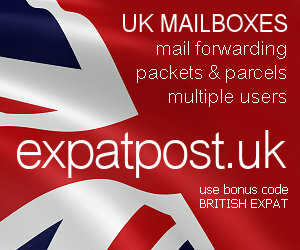 Visit the main web site at http://www.britishexpat.com and satisfy that craving!